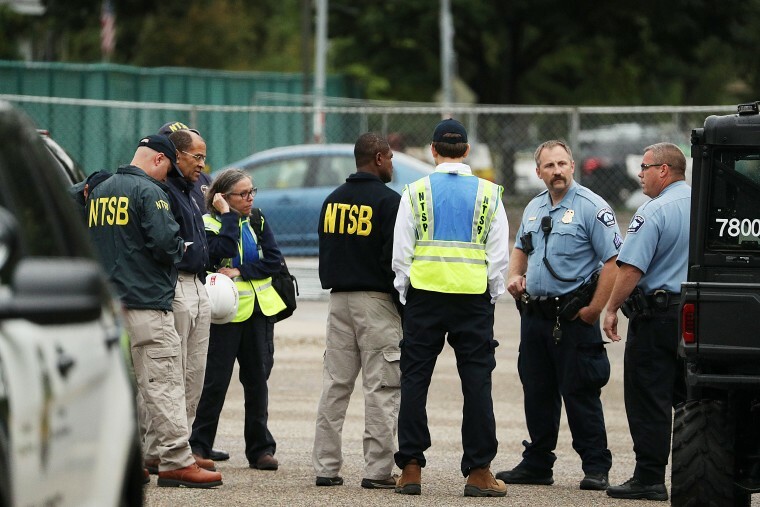 Investigators from the National Transportation Safety Board arrived in Minneapolis Thursday to probe the explosion at a school that killed two adults and injured several others. The blast, believed to be a natural gas explosion at around 10:23 a.m. local time (11:23 a.m. ET) Wednesday at the Minnehaha Academy, caused part of the private Christian school to collapse. He said investigators will look at reports that the explosion occurred during the course of moving a gas meter and where the gas was shut off, whether at the street or at the building, but no determinations have been made. Killed were Ruth Berg, a receptionist for 17 years, and John Carlson, an 81-year-old part-time janitor, officials said. Both had initially been unaccounted for after the explosion. Berg's body was found Wednesday afternoon, and crews using heavy equipment worked carefully in the hopes of finding a second unaccounted for person still alive. But a body later confirmed to be Carlson’s was found at around 8 p.m. Wednesday, Minneapolis Fire Chief John Fruetel said. "The damage was extensive to the building, and we will await determination from the proper authorities that it is safe, because we will have to go inside the building in order to really make a determination what happened," Hart said. The school's president, Donna Harris, had to be rescued from the ledge of her second floor office after the blast. "You could see straight through the building," she told NBC News. "Everything started coming down. My shoes were blown off, and we were taking in all of the dust and the debris," she said. "I just was in shock, literally in shock," Harris said. "It's a hole that I feel in every core of my being." The investigation will include discussions with the contracting company, who Hart identified as Master Mechanical, and the gas company CenterPoint Energy, but the investigation is only in its beginning stages. One person remained hospitalized in critical condition while two adults remained hospitalized in satisfactory condition Thursday, the Associated Press reported. The school said Thursday that its prayers were with facilities team member Bryan Duffey and the doctors and nurses caring for him. His family released a statement saying he remains in critical condition but was stable, NBC affiliate KARE of Minneapolis reported. "Our hearts and thoughts are with all of those in the Minnehaha Community. We continue to pray for the families of John Carlson and Ruth Berg," Minnehaha Academy said in a post on Facebook Thursday morning. Hart said NTSB investigators are expected to be at the site for between five and seven days, and full reports typically take a year to complete. "Our mission is to understand not only what happened but more importantly why it happened, so that we can make recommendations to prevent it from happening again," he said. While the NTSB is more typically known for investigating plane, train and automobile crashes, the agency’s mission also includes pipeline safety, and it has investigated almost 20 natural gas explosions involving buildings over the past five years, Hart said.